Florida alcohol rehab, substance abuse rehab in Florida, including rehabs near me and therapeutic boarding schools. Looking for a Christian addiction recovery centers or alcohol rehabs in Florida. Help can be found at these Adult & Teen Challenge recovery centers. The first step towards recovery usually requires addicted individuals to detox in a hospital Florida under medical supervision, and then they will get intensive care at one of these Adult & Teen Challenge centers. Residential inpatient recovery in these rehabs in Florida consists of 24-hour care and education at a live-in rehab facility. Addiction recovery takes up to a year for a dependence on alcohol, illicit drugs or prescription painkillers. It starts with the individual's acceptance to get help, what sort of addiction it is, and how severe the dependence is. The Adult & Teen Challenge programs are highly acclaimed inpatient residential abuse recovery programs in Florida. 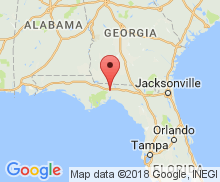 The search for the best addiction recovery centers and rehabs in Florida includes drug rehab centers in Orlando, Pensacola, Fort Lauderdale, Fort Myers, and Jacksonville. We can also help you in your search for other rehabs for alcoholics , Christian drug and alcohol rehabs, Christian drug and alcohol rehabs, rehabs. Florida is plagued by drug addiction. The various inpatient addiction recovery programs in the state of Florida seek to curb the menace by providing holistic but customized addiction recovery, addiction counseling, addiction rehabilitation, and support services to their patients. The Christian addiiction recovery programs at Adult & Teen Challenge offer a rehabilitation facility that is successfu and low cost.